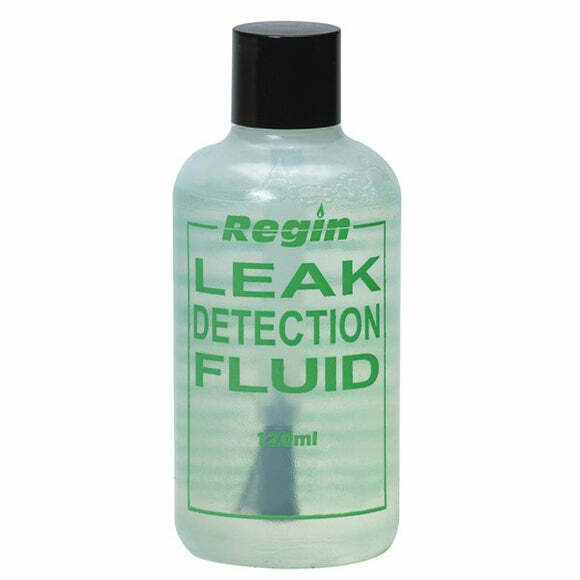 Regins standard Leak Detector Fluid is available in 120ml and is fitted with a built in brush for precise application. The fluid is non-flammable and is safe for use on metal and plastics and with most gases. The fluid works after applying to the area suspected of suffering a leak with the brush, once applied the fluid sits on the surface as a film and will start to bubble should there be a leak and gases escaping.